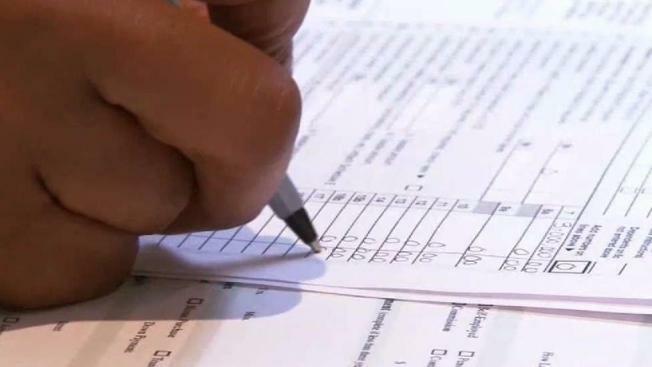 Tax day is usually met with groans and dread, but there’s some good news for you. There are a number of deals in the D.C. area that will make the day better. From free food to $10.40 specials, here are some of the specials you can take advantage of Tuesday. Applebees: Dollaritas ($1 margaritas) are back for all of April. Boston Market: Their $10.40 special includes a half chicken individual meal with two sides and cornbread plus a regular fountain beverage. Bruegger’s Bagels: Get a $10.40 Big Bagel Bundle (13 freshly-baked bagels and two tubs of cream cheese) with a coupon from their website. They are also offering 20 percent off catering orders until April 17. Carmine’s: Two $10.40 drink specials: the Refund Rejoice Pomegranate Spritz (for those fortunate enough to get a refund, the website said) and the Bitter Sting Carmine’s Negroni (for those who owe Uncle Sam). There’s also a $10.40 sandwich special: Chicken Parmigiana Hero with a choice of Caesar salad or mixed green salad. California Tortilla: Get free chips and queso! Just come in and say “Chipping in” when you place your order. (Only one free small chips and queso per guest with any purchase). Chili’s: $5 Cherry Blossom margaritas are available all through April. Great American Cookies: Free Cookies & Cream cookie to anyone who stops by the participating stores. Hungry Howie’s: Get a one-topping, medium-sized pizza for 15 cents, with a purchase of a one-topping large pie. Use the promo code 18TAXDAY for online carry out until April 17. Hydromassage and Planet Fitness: Get free massages at Planet Fitness locations from April 14 through April 21. Download and print the coupon to redeem the free massage! P.F. Chang’s:Use promo code TAXDAY for 15 percent off your takeout order. Only valid April 16 and April 17. World of Beer: Toast the end of tax season with a free beer!